The prime minister has called for better value for students in England, but has ruled out completely scrapping tuition fees. Theresa May has launched her review of tuition fees and university funding, to be chaired by the author and financier, Philip Augar. Labour has said it would abolish fees and bring back maintenance grants. But Mrs May said scrapping fees would push up taxes and mean limiting the number of university places. Will the fee review really make any difference? Kuenssberg: What will May do? Reality Check: Would cutting fees really help poorer students? Which degrees earn the most? 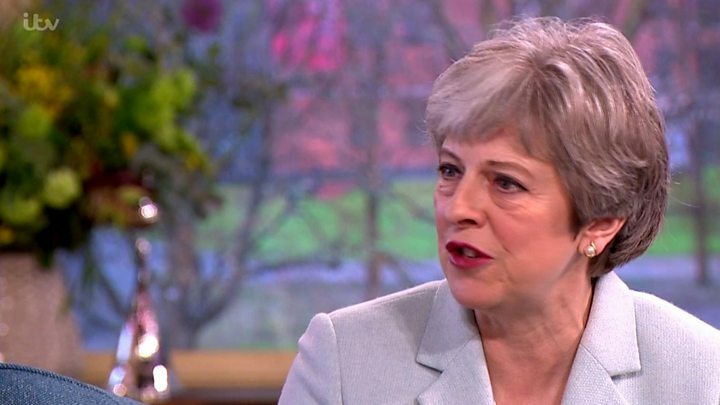 The prime minister, in a speech in Derby, said she remained committed to the principle that students "who benefit directly from higher education should contribute directly towards the cost of it". Announcing the year-long review of student finance and university funding, Mrs May warned that the system has failed to deliver sufficient competition on price. Almost all courses are charged at the maximum £9,250 per year and interest rates are up to 6.1%. The prime minister said students in England faced "one of the most expensive systems of university tuition in the world" and "the level of fees charged do not relate to the cost or quality of the course". There are "serious concerns" about the cost among parents and grandparents as well as students, she said. There is a temporary freeze on fees at £9,250 and that is likely to be extended for at least another year during the review. But there were no signs from ministers of any radical cutting in the headline price of fees. Labour's shadow education secretary, Angela Rayner, said the review was an "unnecessary waste of time" and showed that "Theresa May has finally admitted that her government got it wrong". "Labour will abolish tuition fees, bring back maintenance grants and provide free, lifelong education in further education colleges," said Ms Rayner. But the prime minister said that completely scrapping fees would be unfair and damaging to universities. She argued it would mean higher taxes for those who did not go to university and would mean universities had to compete for funding with schools and hospitals, with the likely outcome that limits would be introduced on the number of university places. 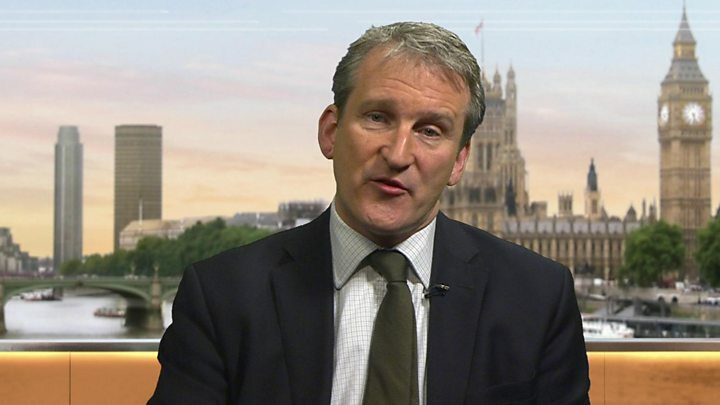 Education Secretary Damian Hinds said he wants "more variety" in the level of fees, rather than almost all courses and universities charging the maximum amount. He also calls for more flexibility in how courses are delivered, such as two-year degrees, encouraging "commuter degrees" where students live at home and making it easier for part-time students and those who want to carry on working while studying. Former Labour education minister, Lord Adonis, called for a more significant change - arguing that fees should be much lower or abolished, in the way that had happened in Germany. 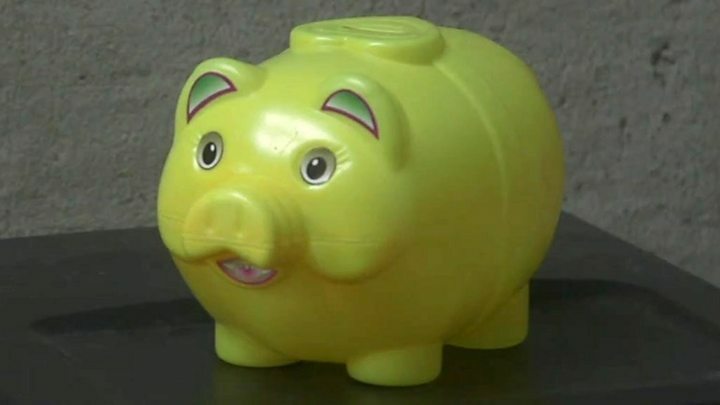 He accused universities of being "bloated" on high fees and said they needed to "get real" over how much they should charge. Lord Adonis rejected the idea of different subjects having different costs as a "big backward step", which would reduce numbers applying for science subjects, if they became more expensive than arts and humanities. The tuition fee review also will consider ways of reducing costs such as cutting interest rates on loans and reintroducing maintenance grants for disadvantaged students, as well as examining the level of fees. Mrs May said that sure poorer students should have an "equal chance" in higher education - but that at present they had the greatest burden of debt. Students from poorer families are offered bigger loans for living costs than better-off students, who are expected to be partly supported by their parents, but it means they graduate with bigger debts. Restoring maintenance grants for poorer students, scrapped last year, would reduce their level of borrowing. Support for vocational training and apprenticeships in "post-18 education" will also be considered. The prime minister warned that the route into further technical and vocational training is "hard to navigate", saying the standards across the sector "are too varied" and the funding "is patchy". The Treasury select committee, chaired by former education secretary Nicky Morgan, has raised concerns about the high level of interest rates. The Institute for Fiscal Studies says students in England face more than £5,000 in interest charges before they have even left university - contributing to average graduate debts of more than £50,000. Other former Conservative and Labour education ministers Ms Greening, Lord Willetts, Lord Adonis and Charles Clarke have all raised concerns about the level of interest charges. How do tuition fees work in England? Mrs Morgan has also called for more support for part-time students, saying that their numbers had "collapsed". She said that the review needed to find a way to encourage more flexibility in courses and costs, saying that when the fees system was introduced it was "naively assumed" there would be be more competition. But there have been warnings against different levels of fees for sciences or humanities and arts, or for different types of university. Lord Willetts said higher fees for courses with the highest graduate earnings would become a "reverse pupil premium", giving even more money to the most advantaged courses and institutions. Sir Anthony Seldon, vice-chancellor of the University of Buckingham, backed calls for more flexible approaches - such as two-year degree courses - but warned that setting different fee levels would be a "bad idea". Dame Janet Beer, president of Universities UK, said the current system needed to be "better understood and feel fairer to students". The priorities should be support for disadvantaged students and reversing the collapse in numbers of part-time and mature students, said the university group leader.